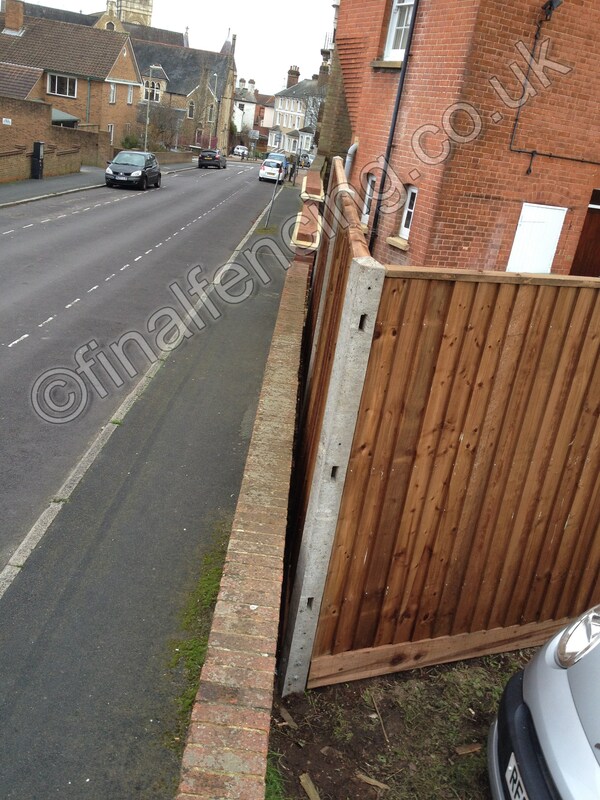 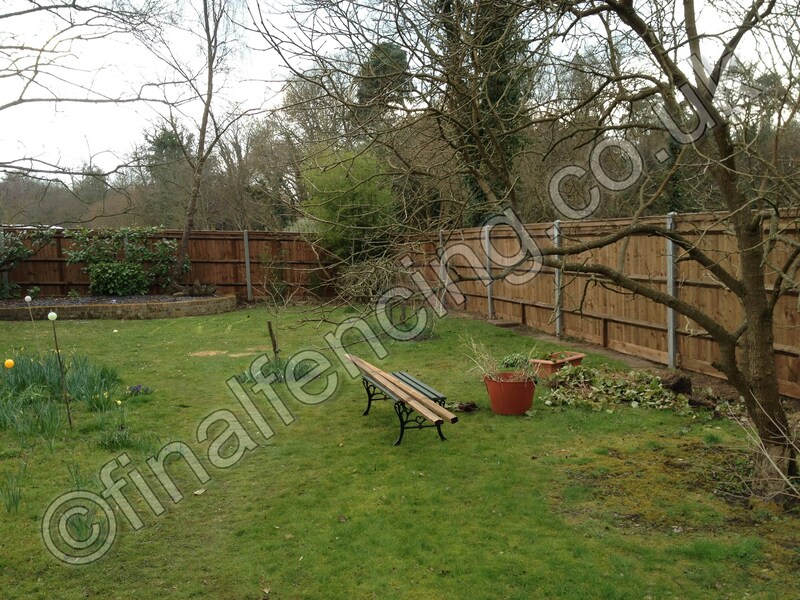 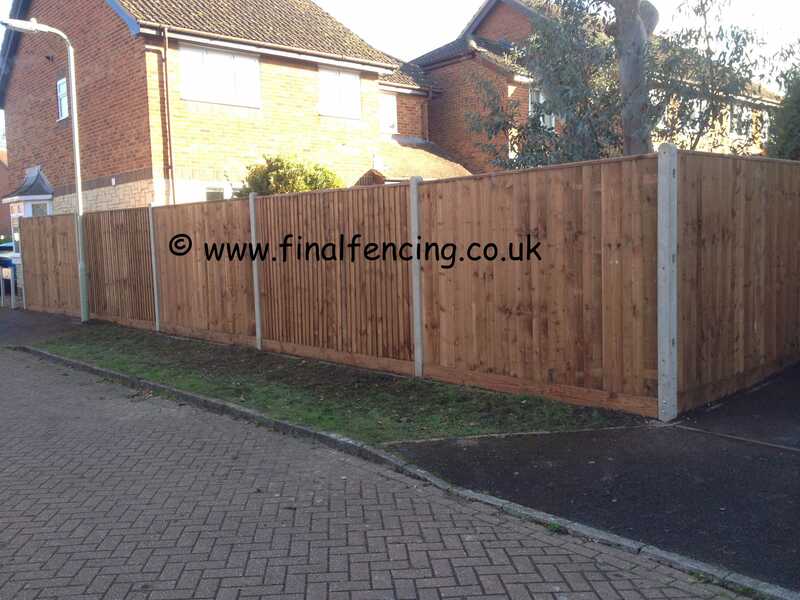 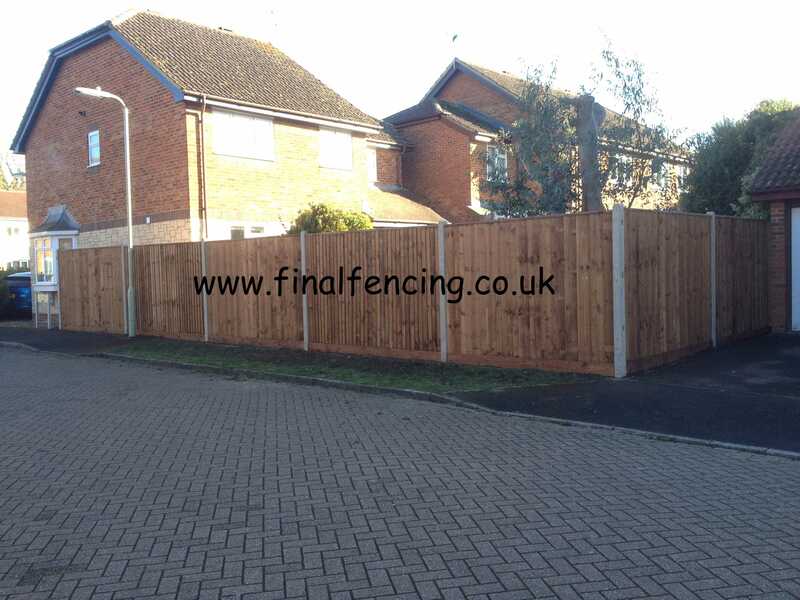 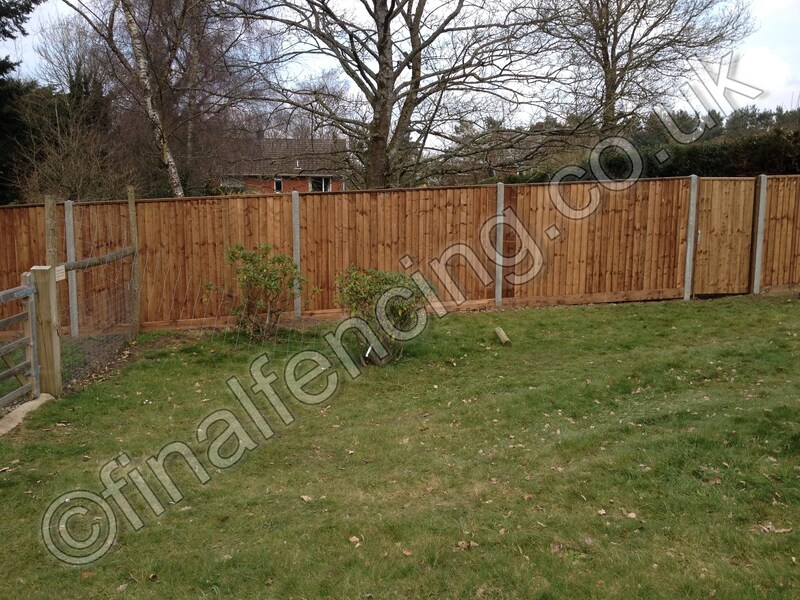 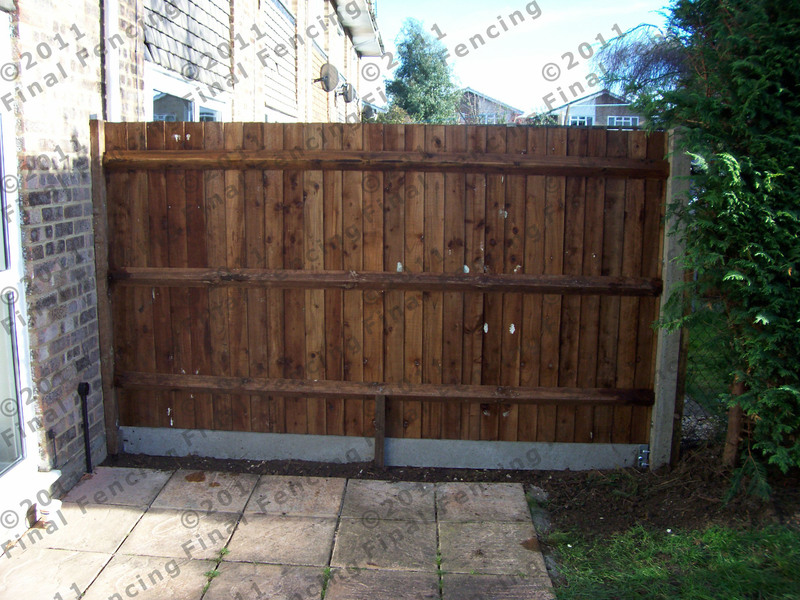 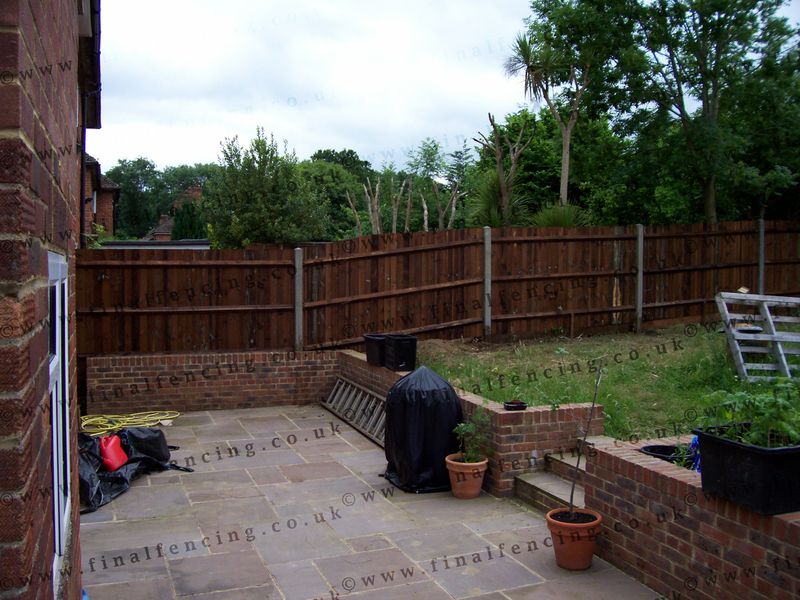 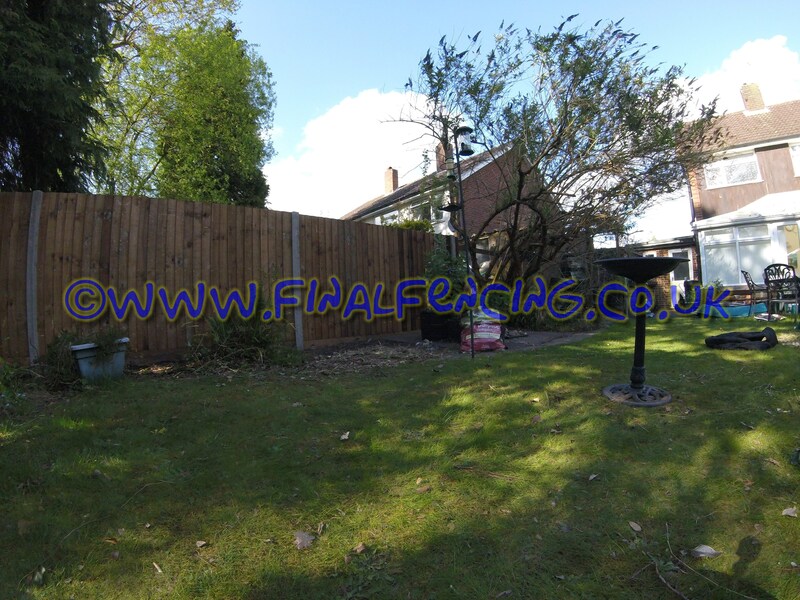 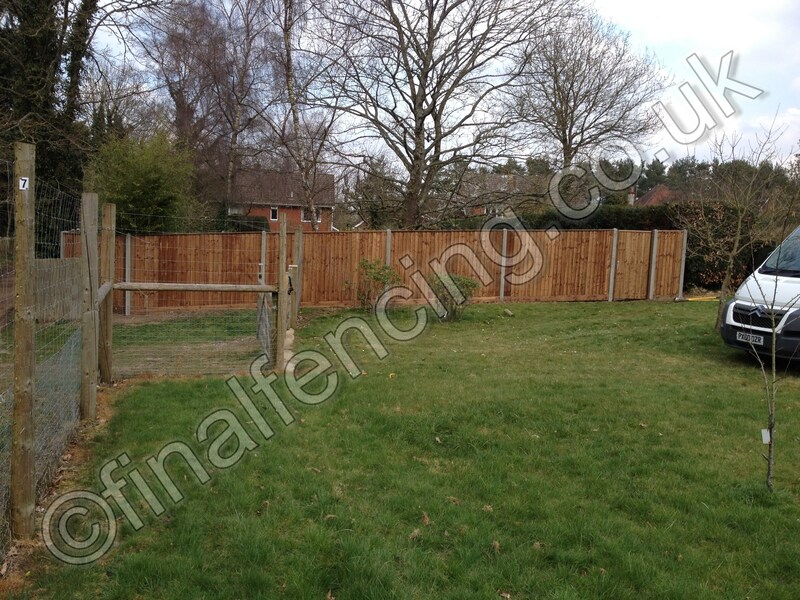 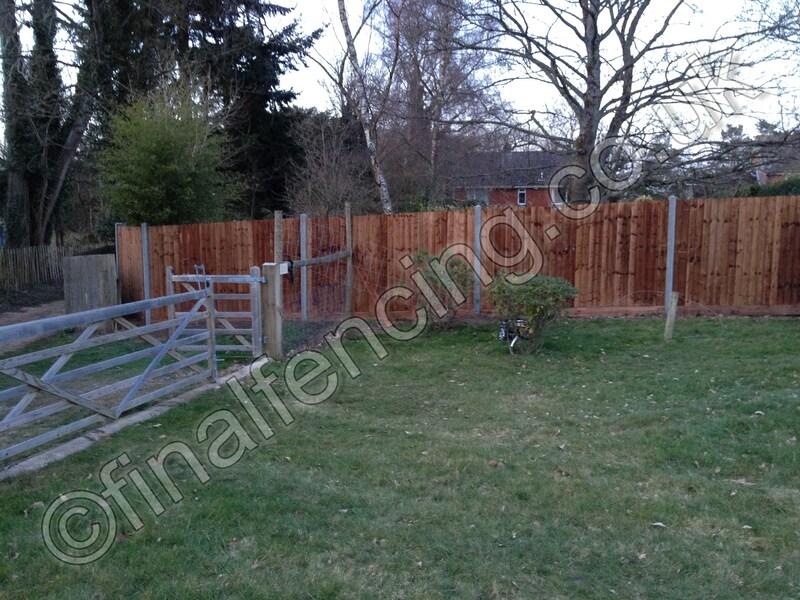 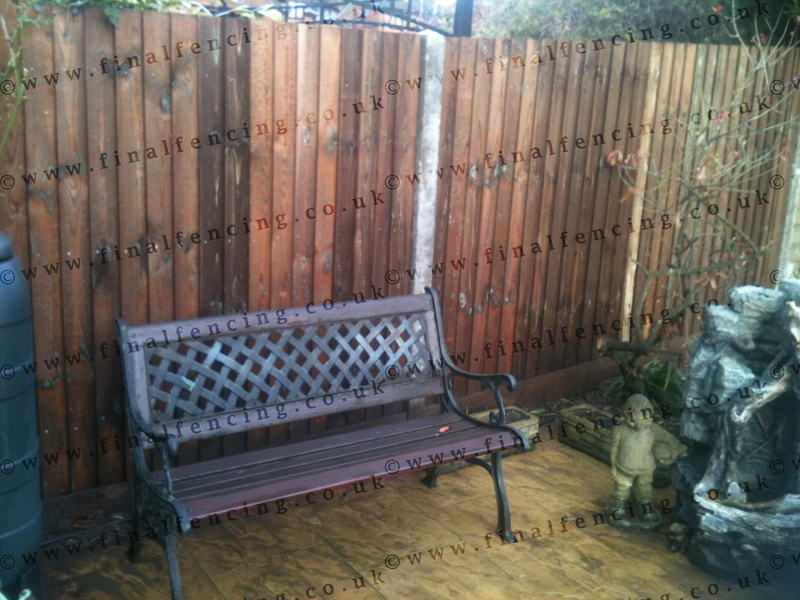 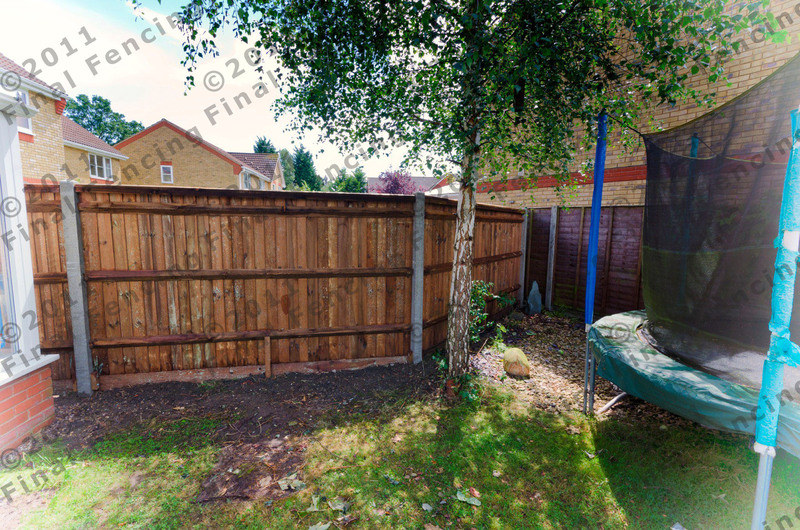 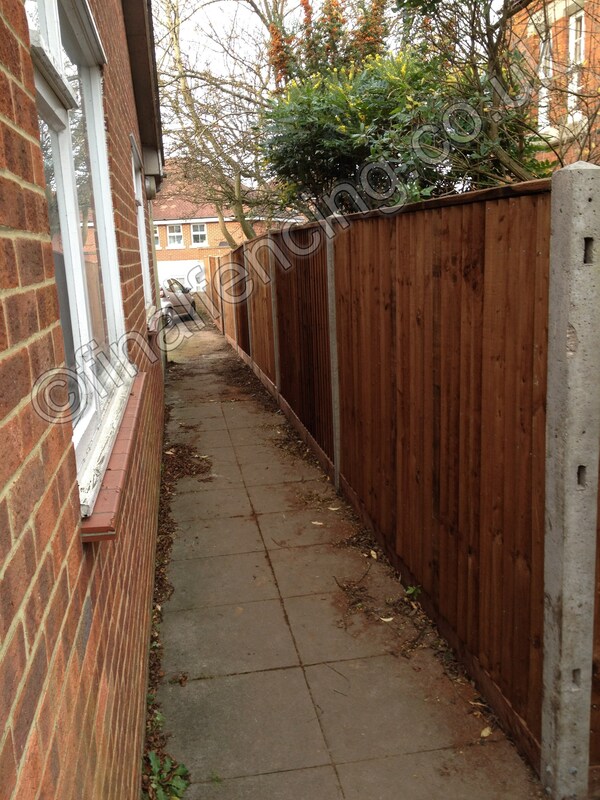 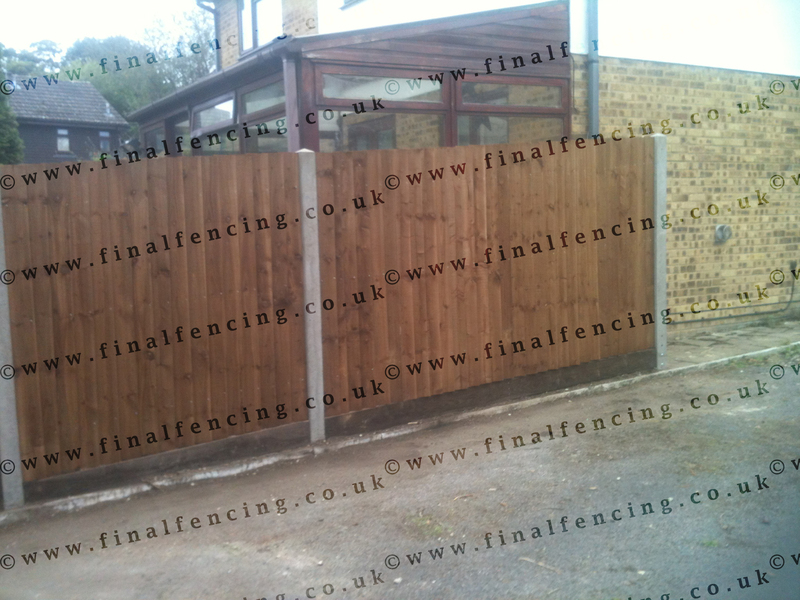 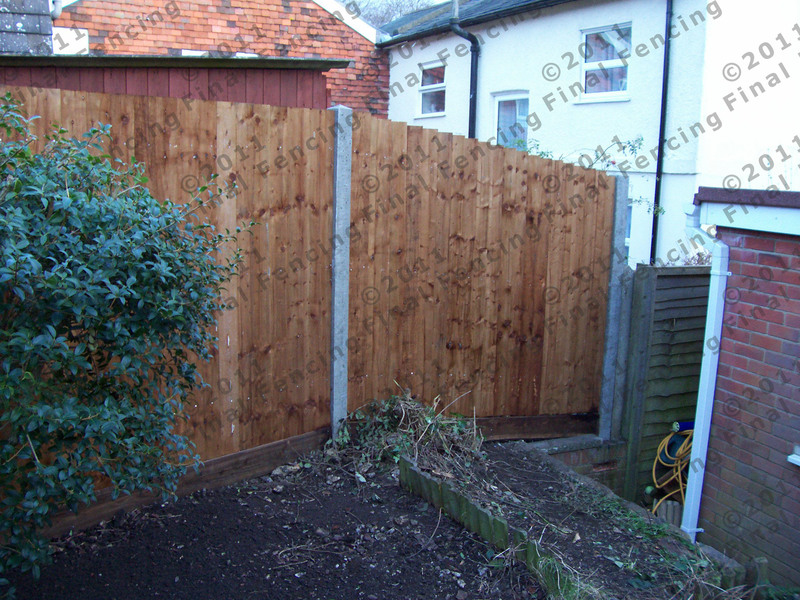 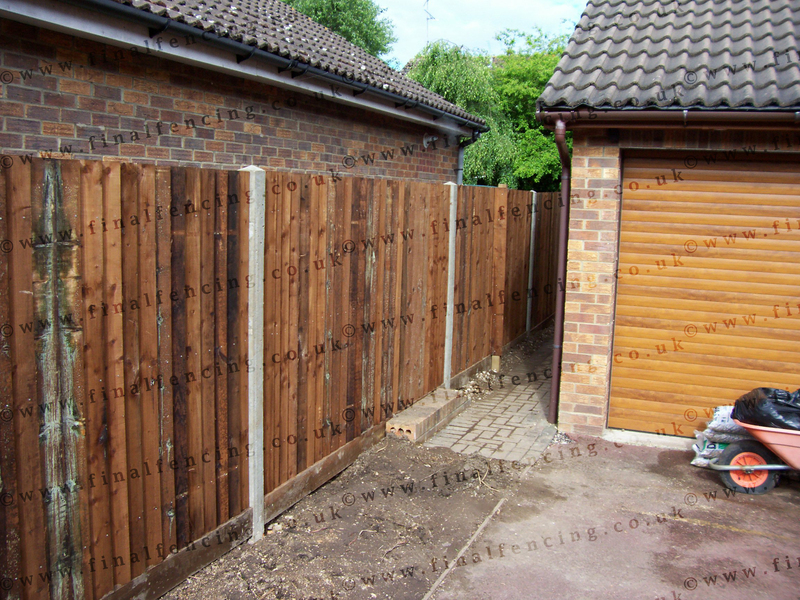 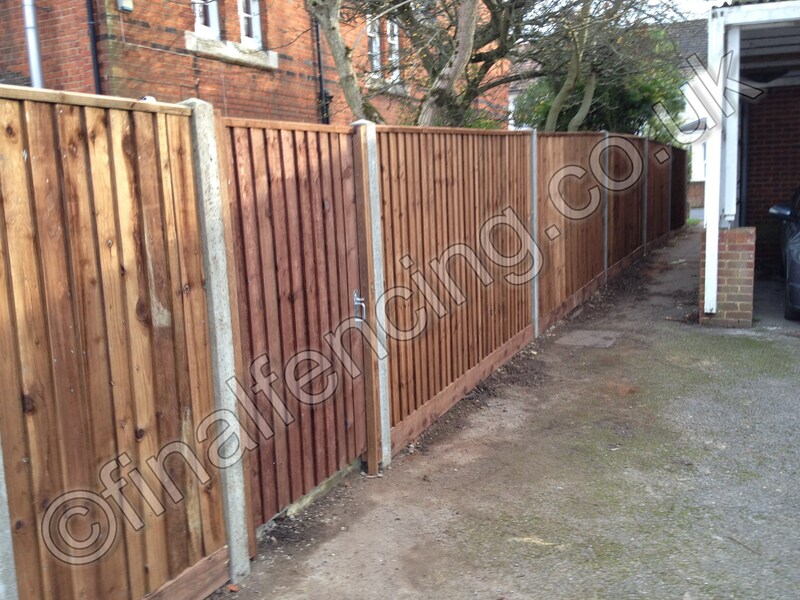 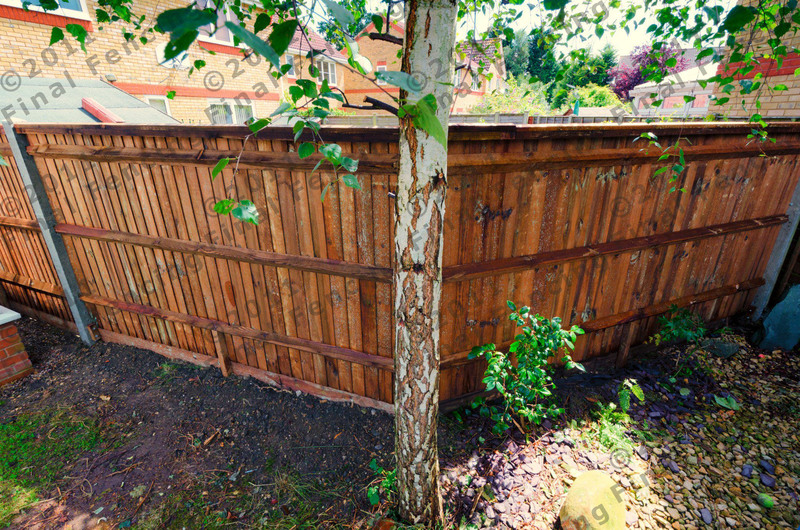 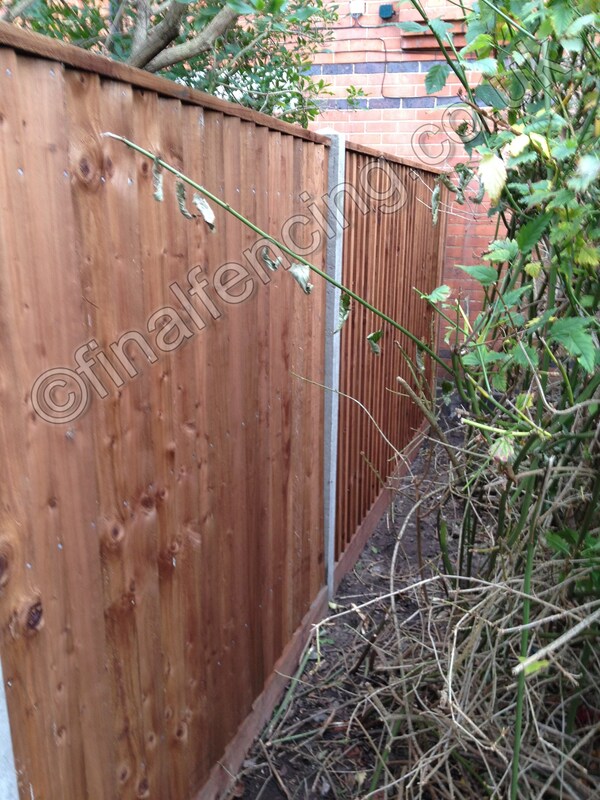 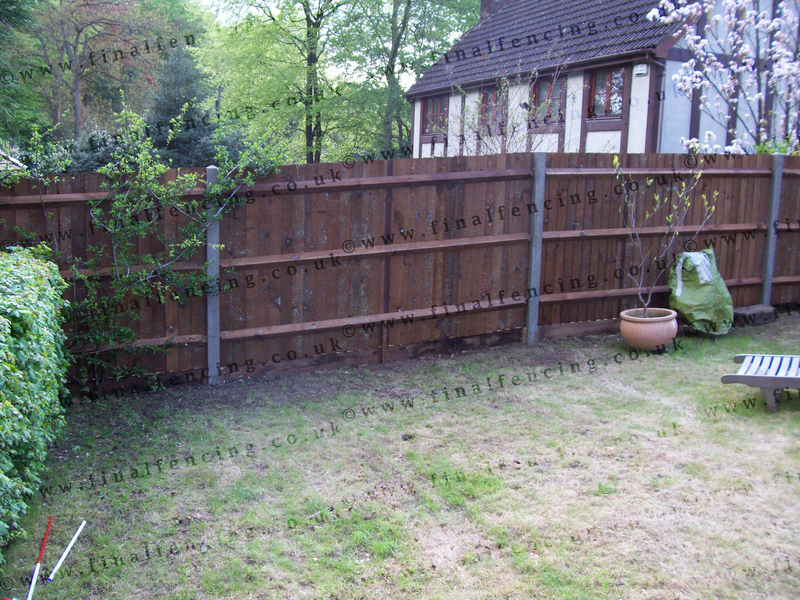 The beauty of this fencing is that the main structure (posts) are concrete. 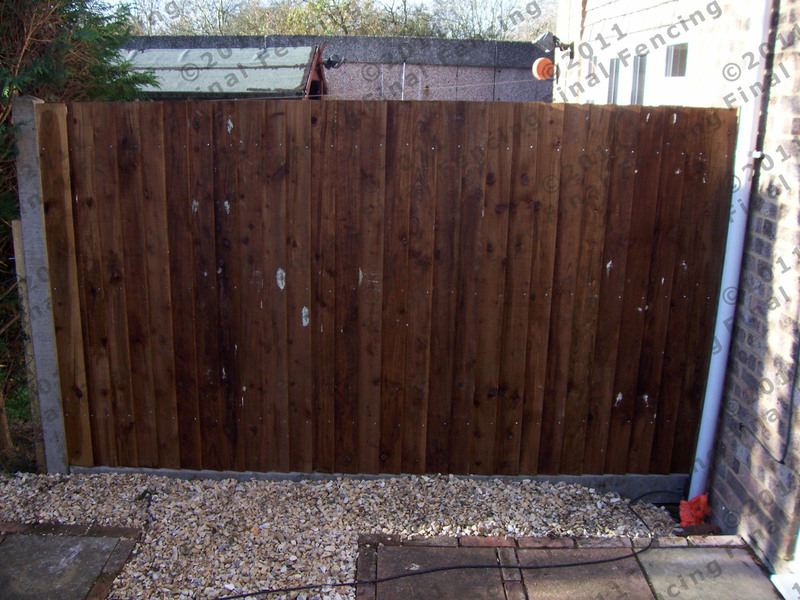 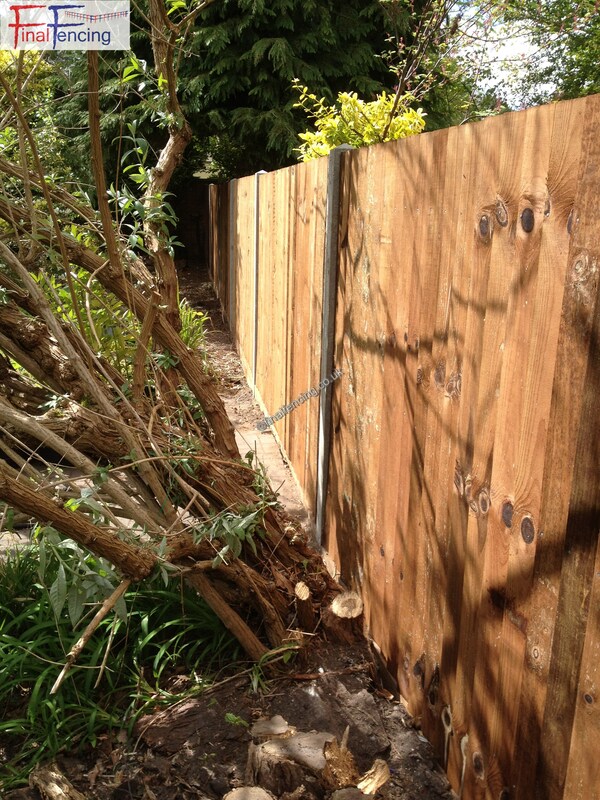 Timber gravel boards are 150mm wide and lift the feathers from the ground. 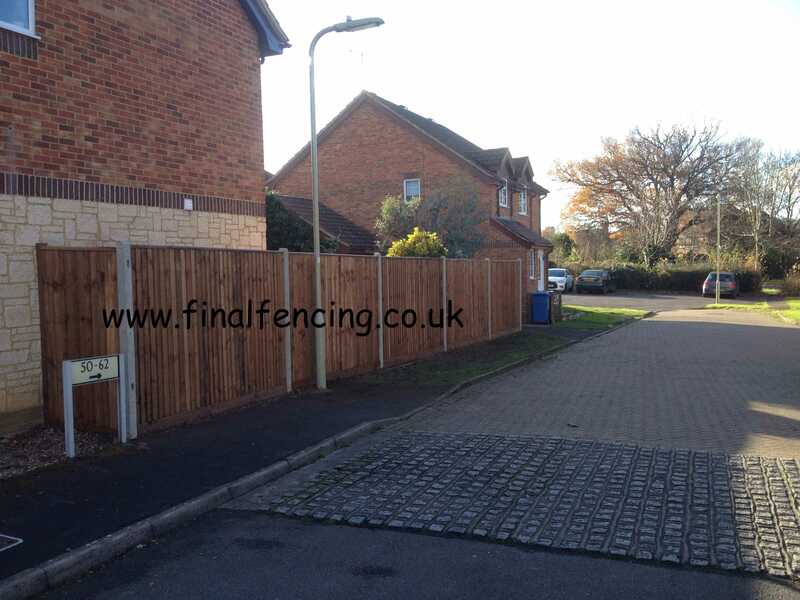 It's a softer appearance and less expensive that all concrete. 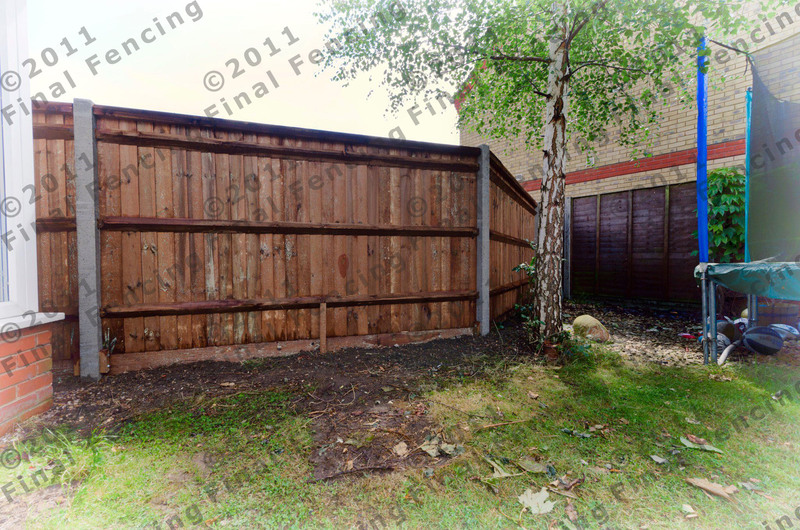 Closeboard on concrete Note boarding tight to wall.